She can't believe how lucky she is — and is looking for a home where she can hang out in it forever. 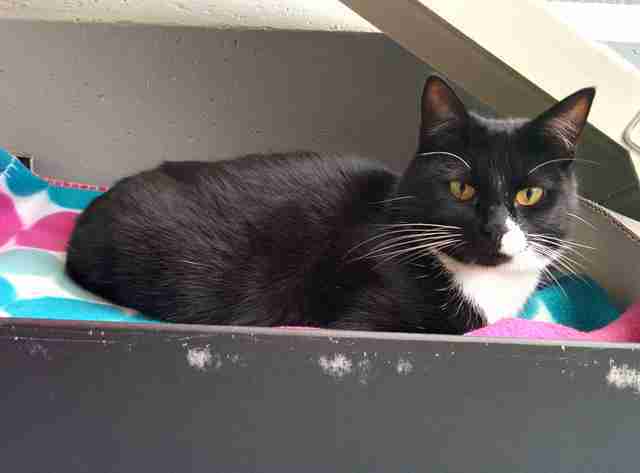 Gina was found as a stray living on the streets with her three kittens back in August. 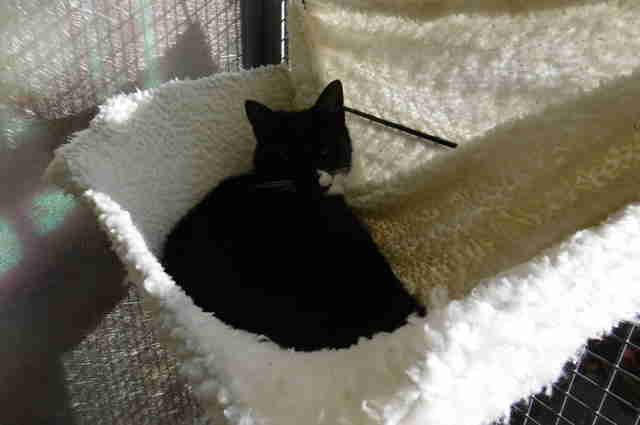 As soon as she arrived at the RSPCA, she was put into her new enclosure, where staff had placed a hanging bed, sort of like a hammock, for her to enjoy. Gina immediately climbed into the hanging bed — and has barely come out of it since. The sweet 2-year-old cat is now absolutely obsessed with her hanging bed, and spends 90 percent of her time in it. She only ever comes out occasionally to eat, go to the bathroom or get a few cuddles from the shelter staffers. Gina’s obsession with her hanging bed is absolutely adorable — but unfortunately, it has also kept her from getting adopted over the past three months. While all of her kittens have since been adopted, Gina is still at the shelter, patiently waiting in her bed for someone to notice her. It’s hard to know exactly what poor Gina went through while she was living on the streets, and now that she’s finally safe and comfortable, all she wants to do is lounge around in her favorite bed — in case one day, it all goes away again. 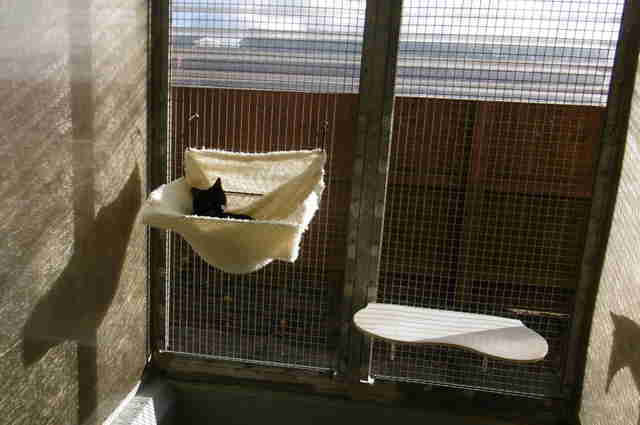 Hopefully Gina will realize that her hanging bed isn’t going anywhere and will start to venture out to meet people a little more, showing potential families what an amazing cat she really is. Gina would do best in a home with no other pets and no kids. 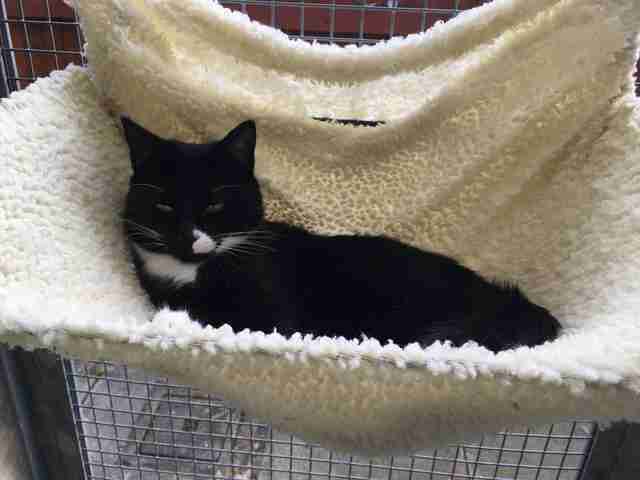 She just wants a quiet home where she can snuggle and play — and sleep in her hanging bed, which absolutely has to go with her to her future new home. No exceptions. “We really would love to find her a home where she could be with a loving family, and of course her hanging bed,” Stewart said. 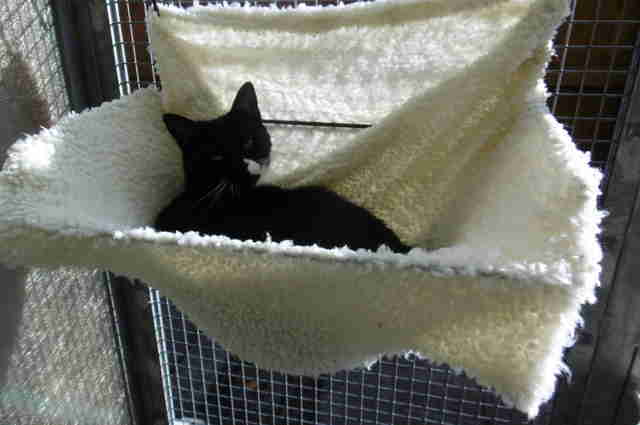 If you’re interested in adopting Gina (and her hanging bed), you can contact the RSPCA for more information.